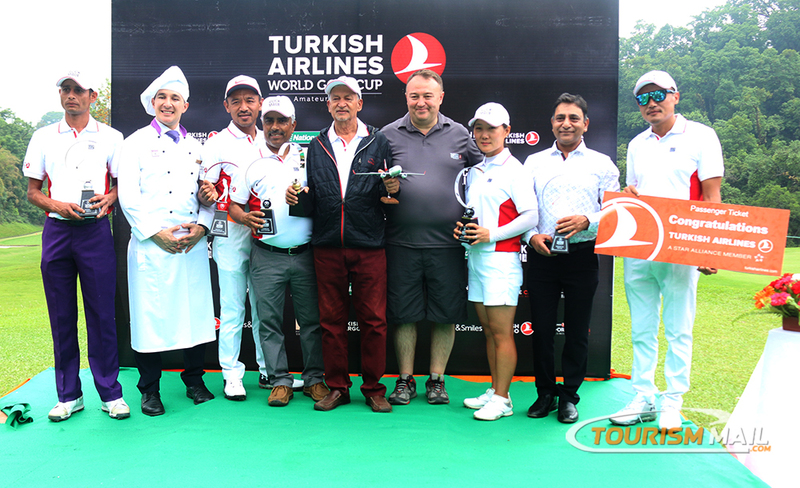 KATHMANDU, May 13: Turkish Airlines, a global leader in civil aviation, brought its ever-growing Turkish Airlines World Golf Cup to Gokarna Forest Resort Kathmandu on the 12th May 2018. Turkish Airlines is committed to the vision of sporting competition and trusts in its ability to unite people from different nations.The Golf cup event was well supported by the local business community at Gokarna Forest Resort. Madhav Acharya won the competition with 43 points and he will be performing in Antalya, while Madhav Simkhada was runner-up and Kishan Agrawal was third. The Nearest the Pin competition on the 10th hole was won by Mahendra Mainali for the men and Sunny Lee for the women. Tashi Tshering won the lowest gross score with 40 points. Abdullah Tuncer Kececı, General Manager for Turkish Airlines Kathmandu, Thanked all the guests for making the Turkish Airlines World Golf Cup here in Kathmandu a huge success. This year’s tournament is backed by The Financial Times, National, Titanic Hotels and clothing partner Ruck & Maul, the winners of the qualifiers progress to the Grand Finals in Antalya in November, when they have the chance to secure a place in the Turkish Airlines Open pro-am, will fly Business Class in Turkish Airlines and stay at the five-star Titanic Golf Deluxe Hotel.